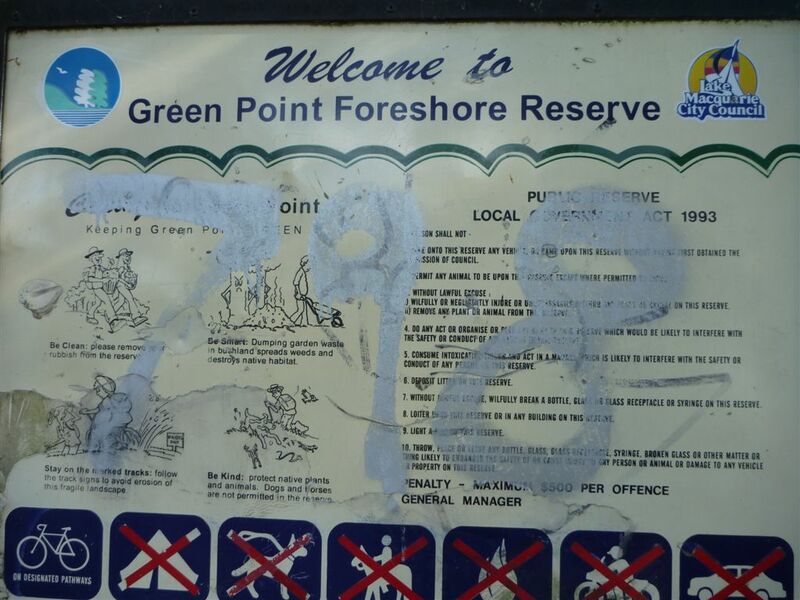 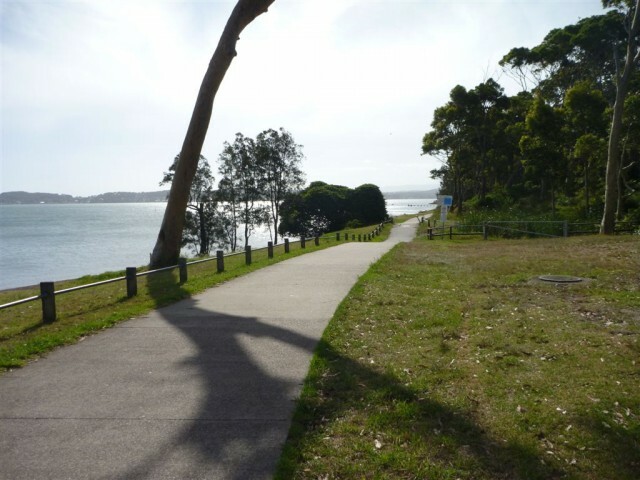 From the intersection, this walk follows the track, while initially keeping the 'Welcome to Green Point Fore Shore Reserve' sign on your left. 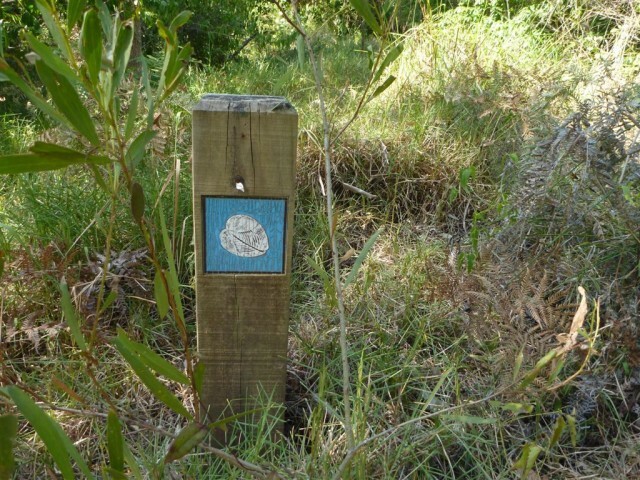 This walk continues, passing a 'Mangrove Seed Symbol' timber signed post (on the left) after about 5m. 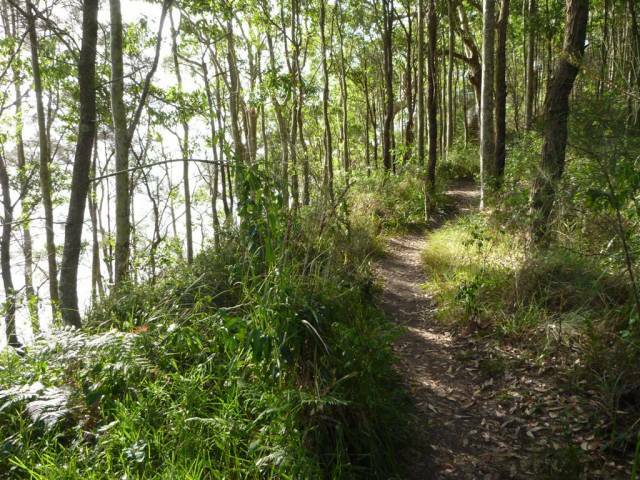 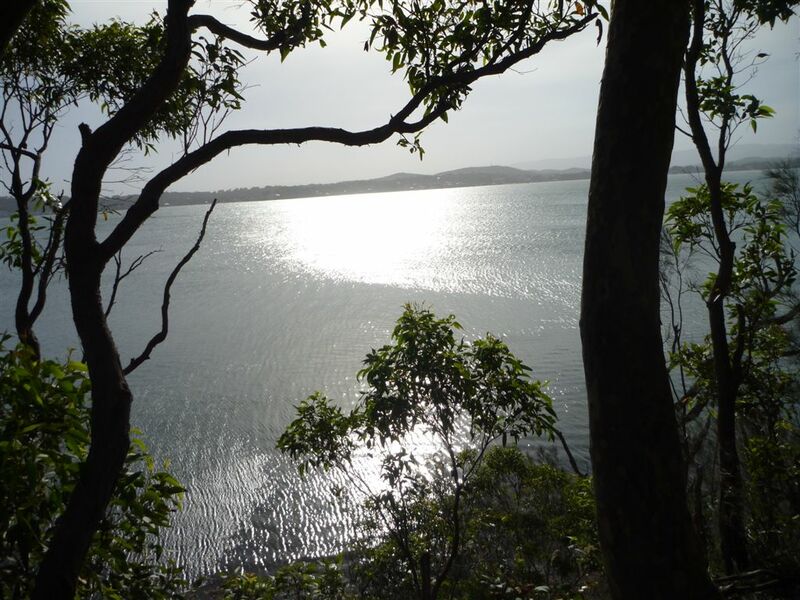 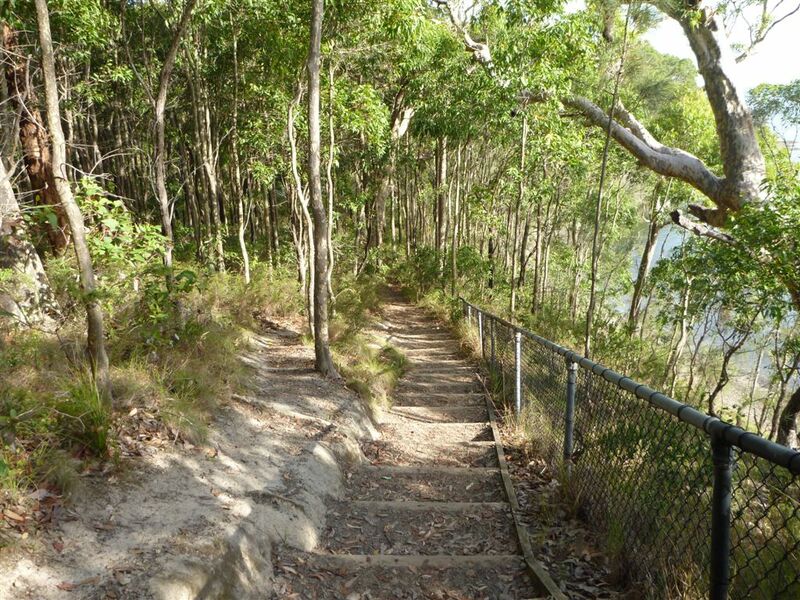 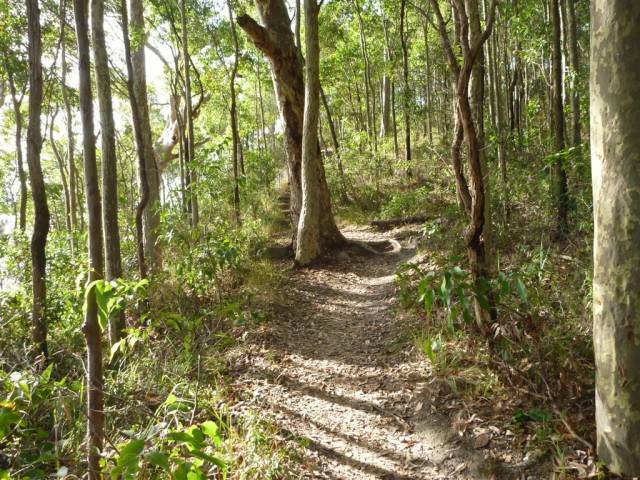 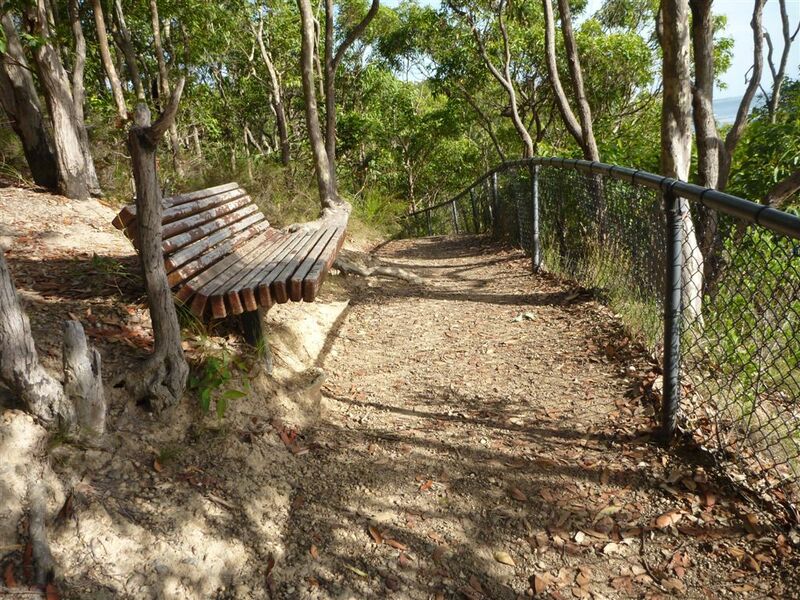 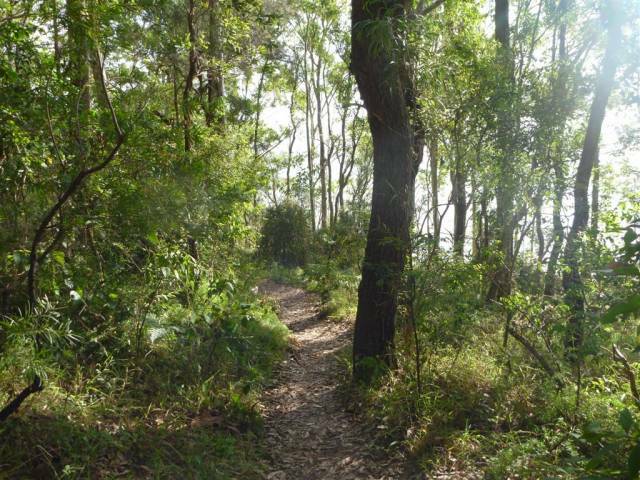 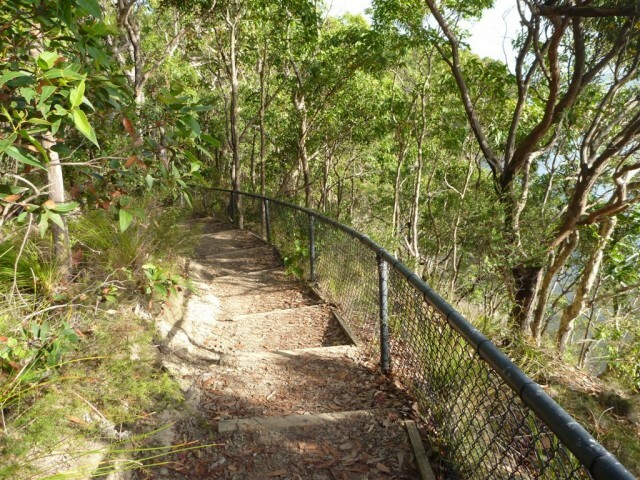 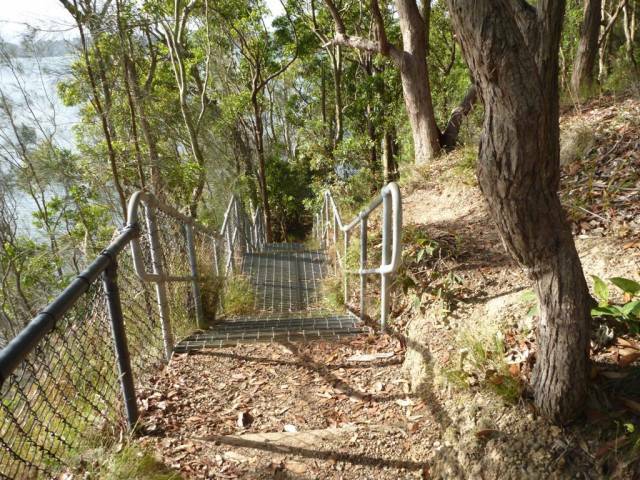 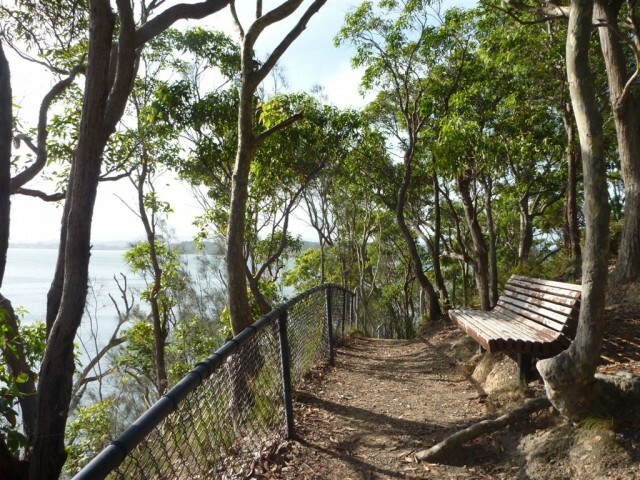 Then this walk continues through forest for about 190m, undulating gently to climb moderately steeply up timber steps (beside a metal ring fence) to find Rockyhigh Viewpoint, with a bench seat (on the left) and views over the lake (on the right). 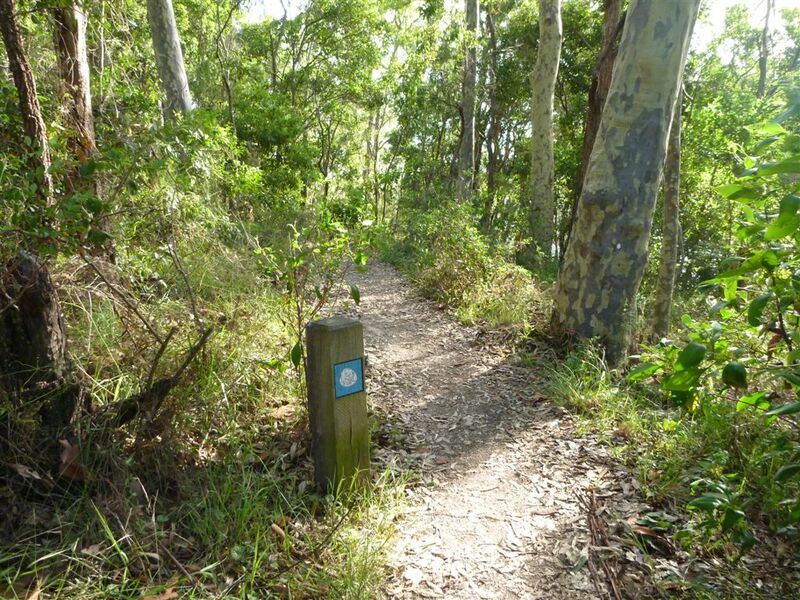 Continue straight: From Rockyhigh Viewpoint, this walk follows the track moderately steeply downhill, while keeping the views on the right. 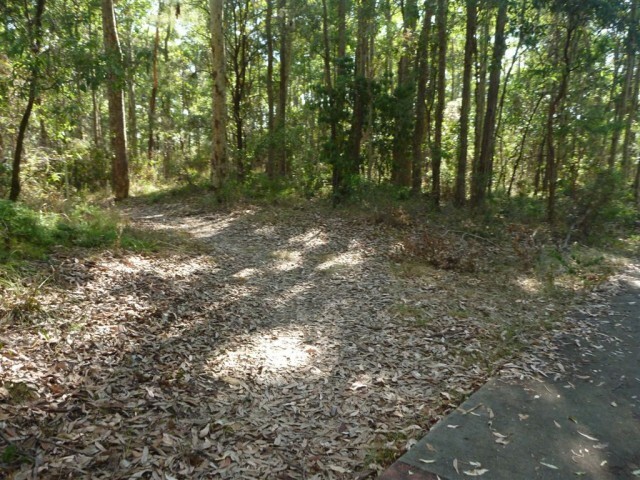 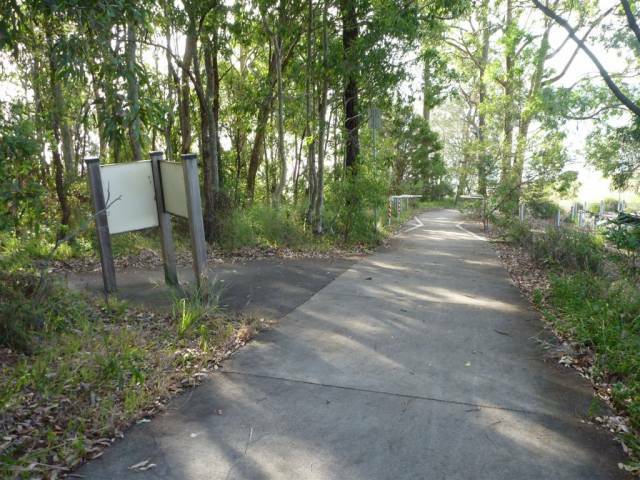 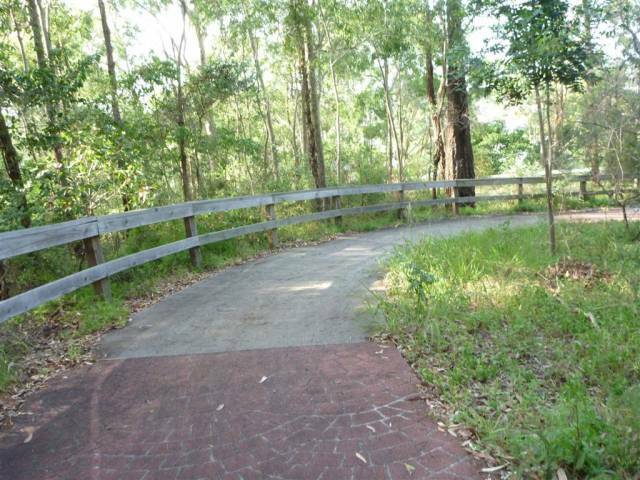 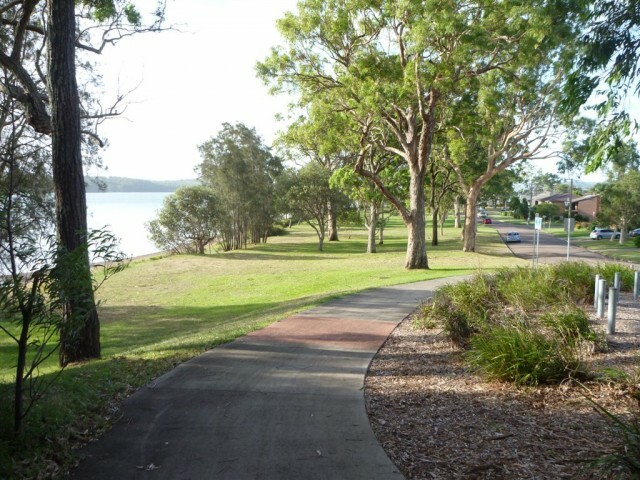 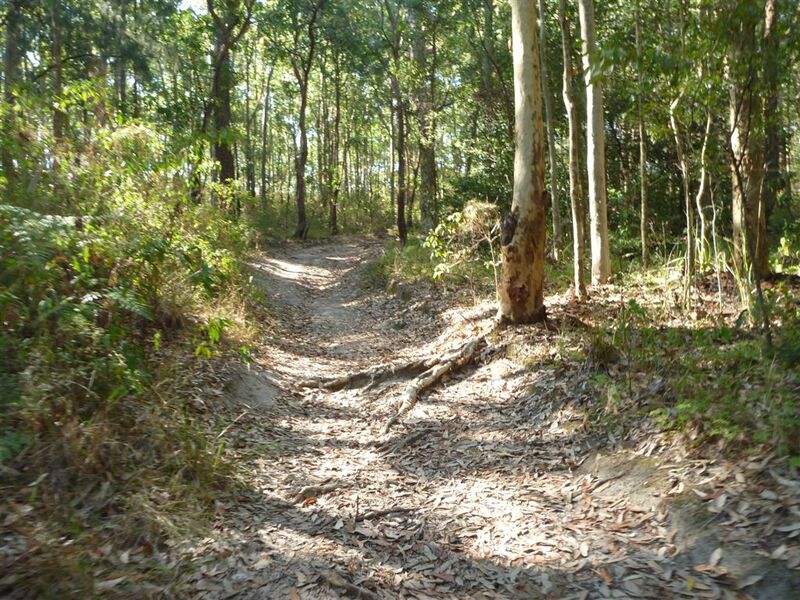 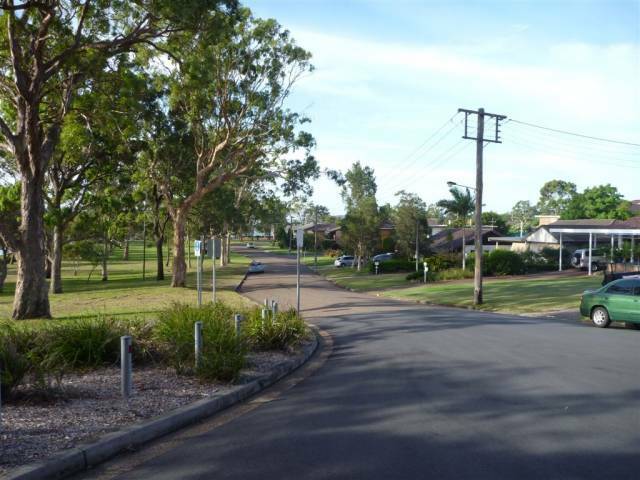 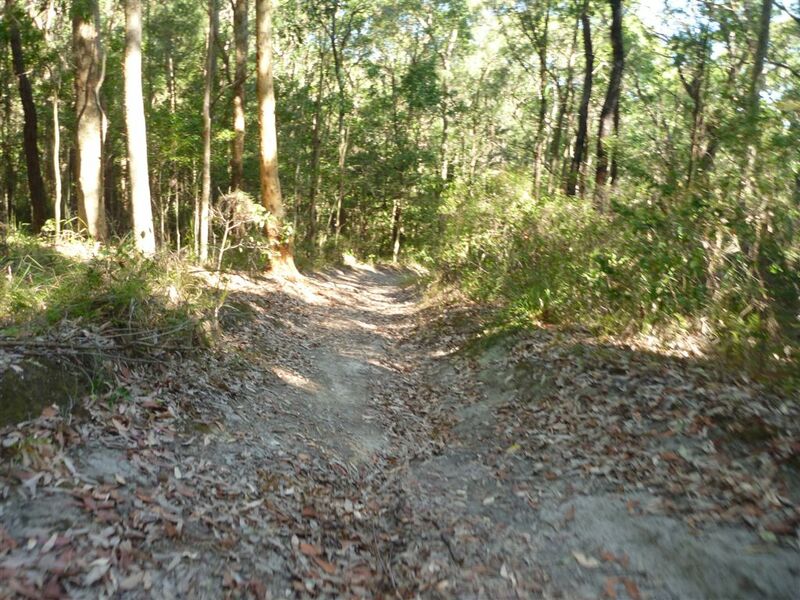 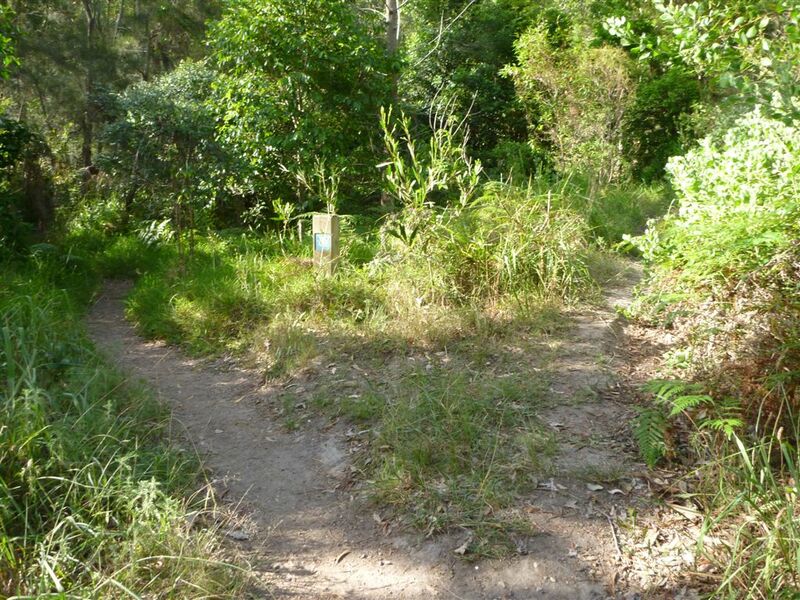 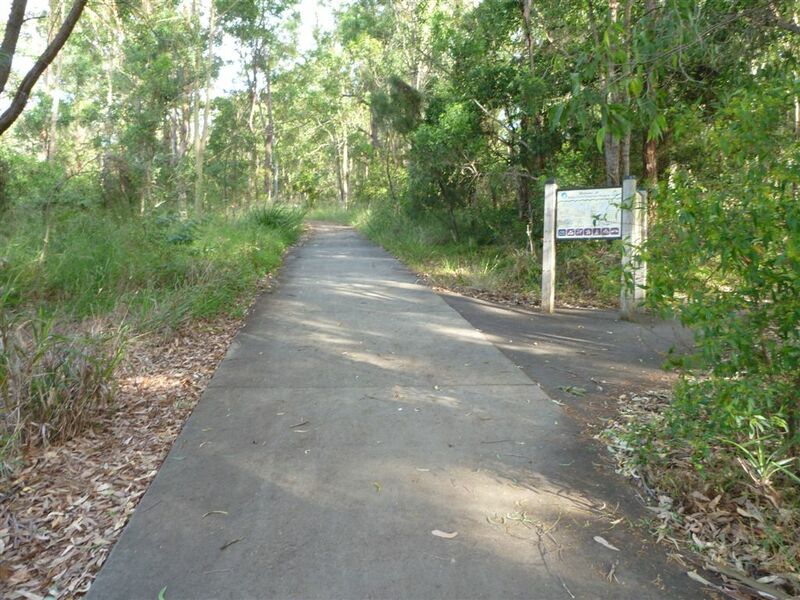 This walk continues for 20m, then undulates gently for about 90m, until coming to a three-way intersection with a track and 'Mangrove Seed Symbol' timber posted sign (on the left). 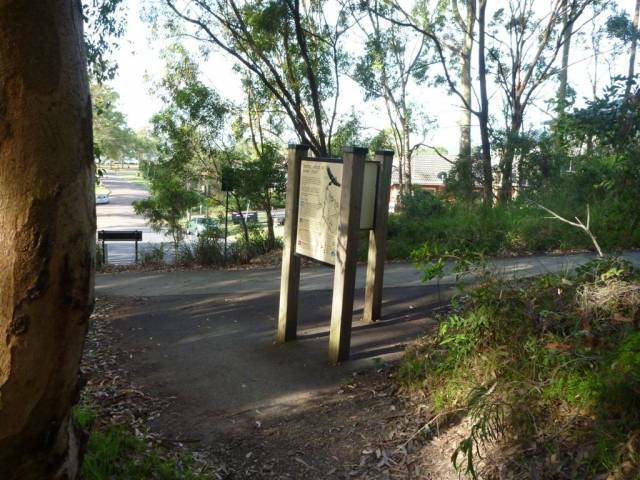 Turn left : From the intersection, this walk follows the track away from the lake, initially keeping the 'Mangrove Seed Symbol' timber posted sign on your left. 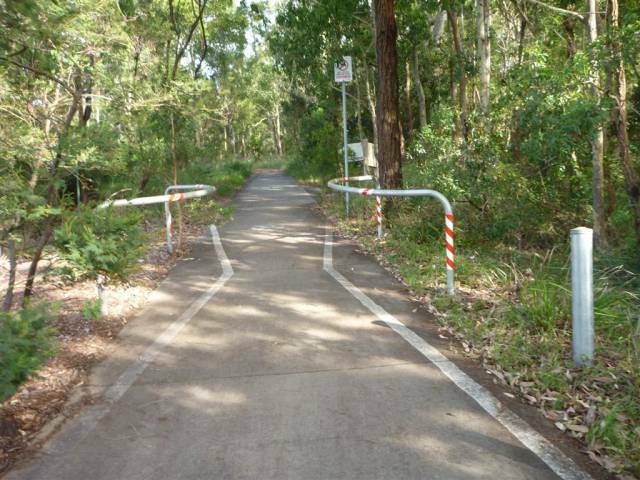 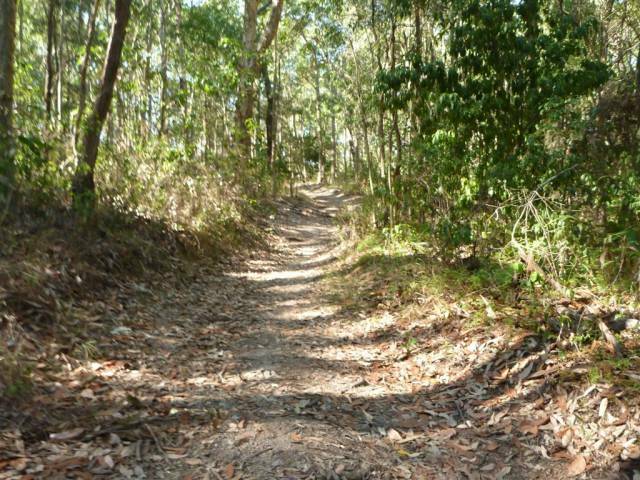 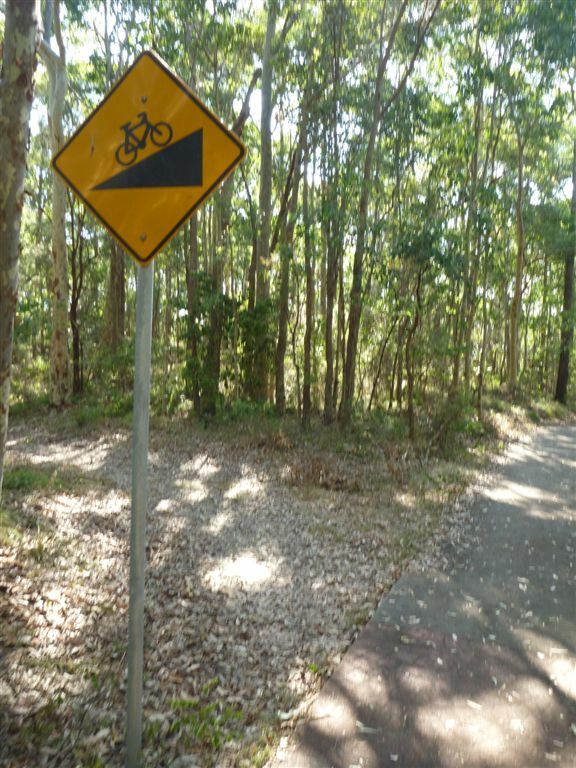 This walk continues through forest and gently uphill for about 180m, until coming to a T-intersection with a concrete foot path, and 'steep bike riding' sign (on the right). 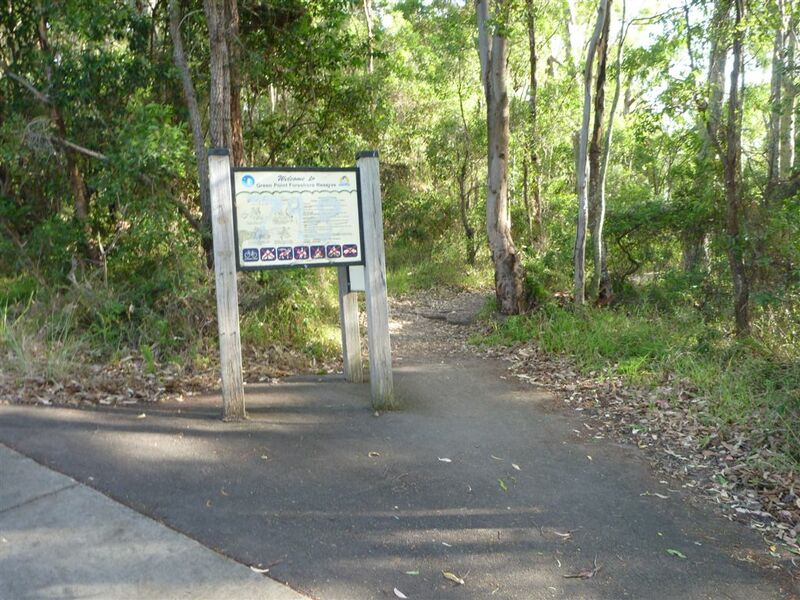 Turn left: From the intersection, this walk follows the footpath gently downhill, while keeping the 'steep bike riding' sign and track initially on the left. 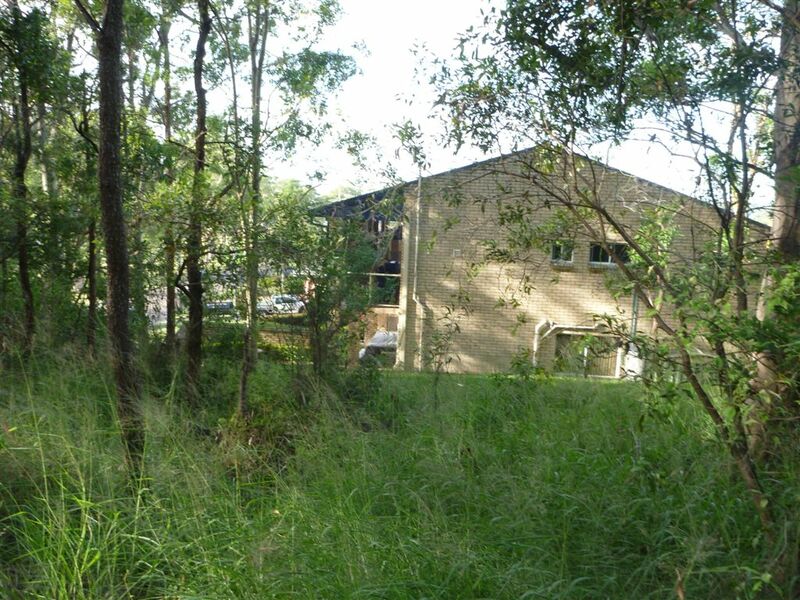 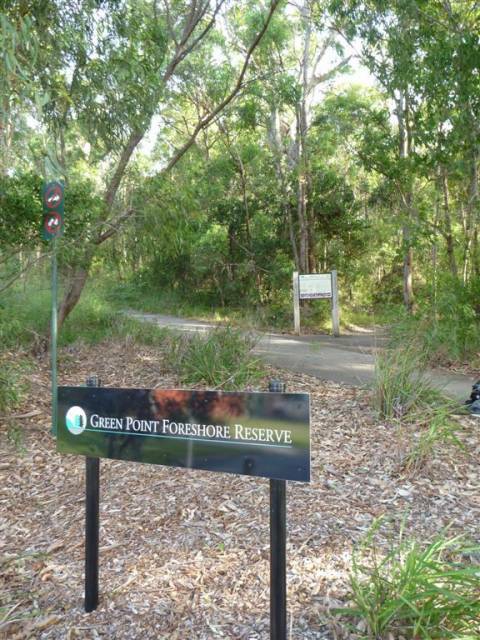 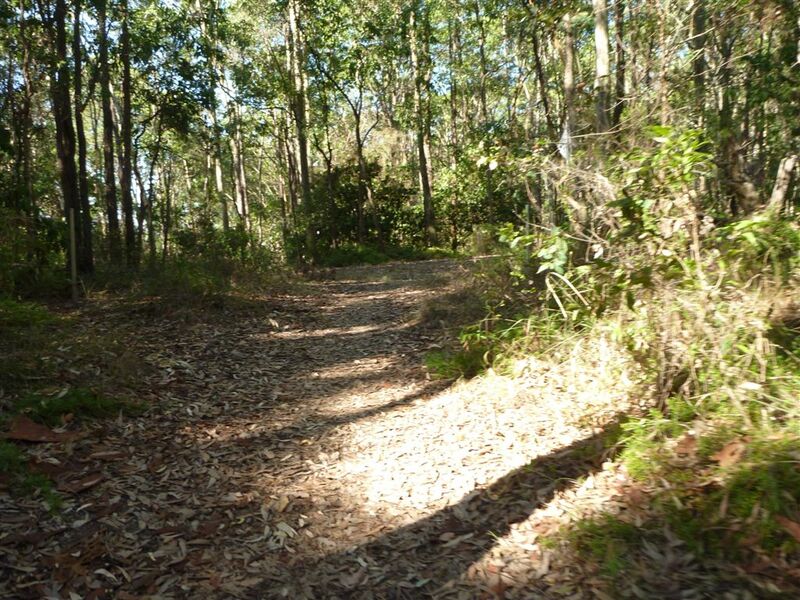 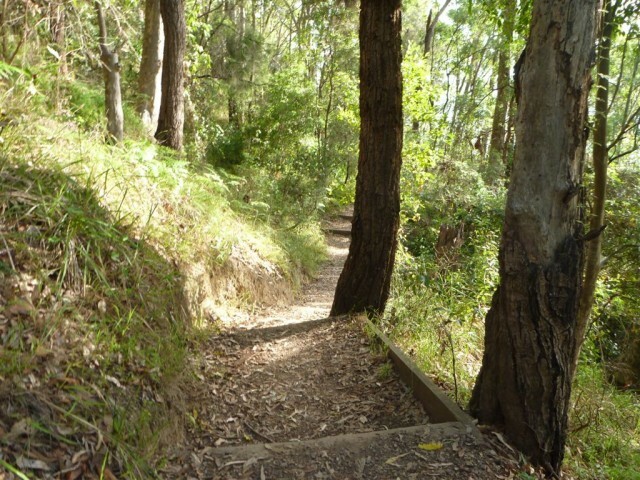 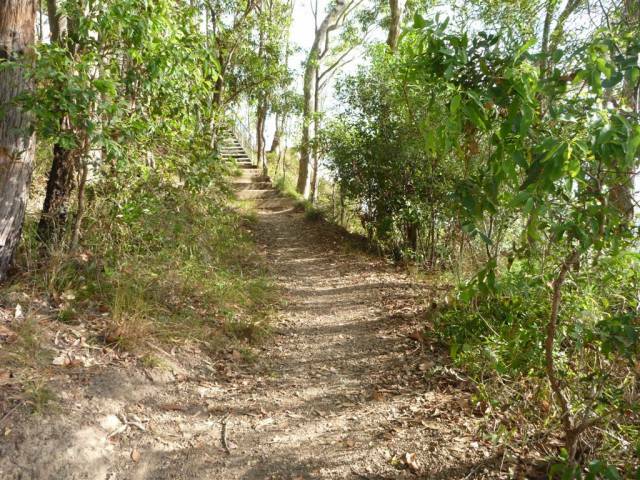 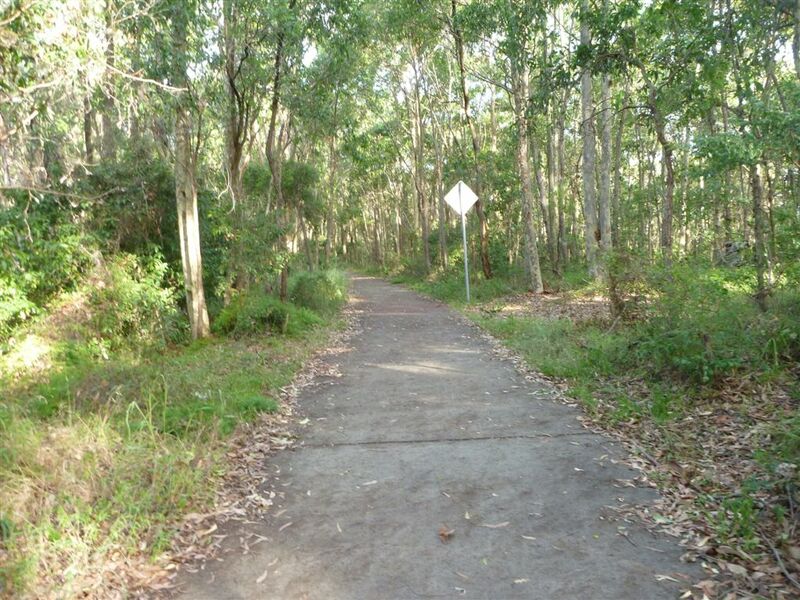 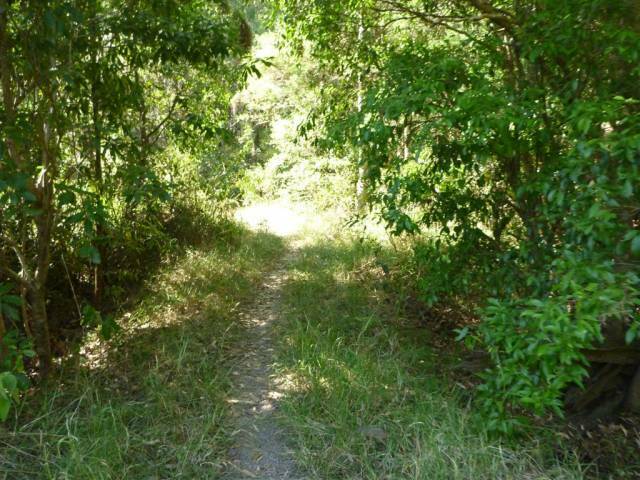 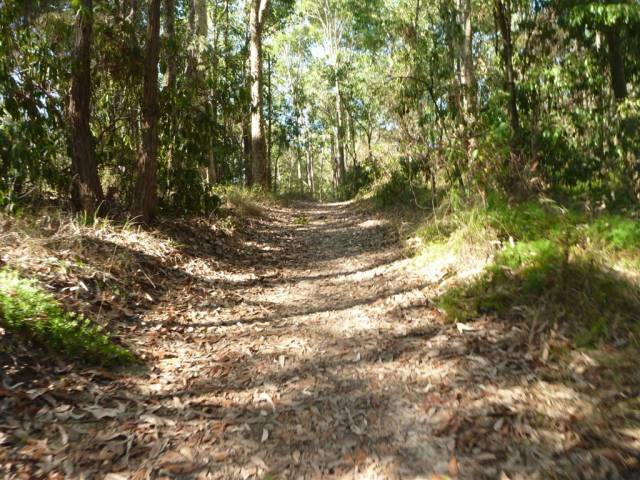 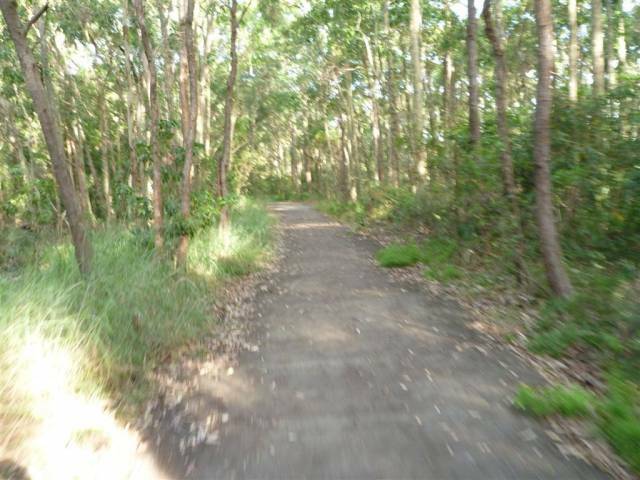 This walk continues through forest for about 140m (with houses on the right), until coming to a three-way intersection with a track and 'Welcome to Green Point Fore Shore Reserve' sign (on the left). 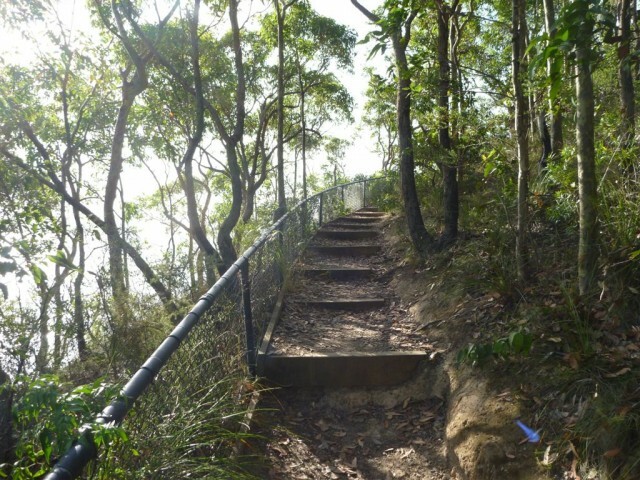 A list of the nearest UHF CB repeaters I found to Rocky-high Circuit Walk.